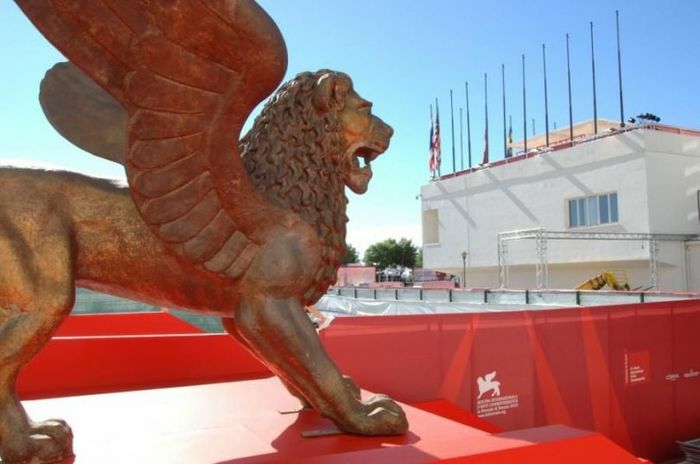 American film editor Bob Murawski (The Hurt Locker, Spider-Man, Army of Darkness) is the winner of the new Campari Passion for Film award of the 75thVenice International Film Festival. The award promotes the extraordinary contribution made by the director’s closest collaborators to the artistic vision of each film. Only occasionally do the contributions of directors of photography, editors, composers, production designers, and costume designers receive proper recognition for their work, which is often decisive to the quality of the final result. Passion for Film awards each of these figures in turn, not just as artisans but as artists and co-authors of the works to which they dedicate their invaluable talent. The award ceremony for Bob Murawski took place on Friday August 31stat 2:15 pm in the Sala Grande (Palazzo del Cinema), before the Out of Competition World Premiere screening of his latest work, Orson Welles’ The Other Side of the Wind. Murawski edited the reconstruction of Welles’ legendary unfinished film, which Netflix is releasing this Fall. In 1970, legendary director Orson Welles (Citizen Kane) began filming what would ultimately be his final cinematic opus with a cast of luminaries that included John Huston, Peter Bogdanovich, Susan Strasberg and Welles’s partner during his later years, Oja Kodar. Beset by financial issues, the production ultimately stretched to 1976 and soon gained industry-wide notoriety, never to be completed or released. More than a thousand reels of film languished in a Paris vault until March 2017, when producers Frank Marshall (who served as a production manager on Wind during in its initial shooting) and Filip Jan Rymsza spearheaded efforts to have Welles’s vision completed more than 30 years after his death. Featuring a new score by Oscar-winning composer Michel Legrand (The Umbrellas of Cherbourg) and assembled by a technical team including Oscar-winning editor Bob Murawski (The Hurt Locker), The Other Side of the Wind tells the story of famed filmmaker J.J. “Jake” Hannaford (Huston), who returns to Hollywood after years in self-exile in Europe with plans to complete work on his own innovative comeback movie. A satire of the classic studio system as well as the new establishment who were shaking things up at the time, Welles’s final film is both a fascinating time capsule of a now-distant era in moviemaking as well as the long-awaited “new” work from an indisputable master of his craft.